Well, since my girl, Alex, will be on bed rest for 2 months or longer, my walking partner for the next couple of days is Walter. As you can see, he was more interested looking at who knows what than posing for the camera. I called his name, and when he turned my way I was able to take this picture. We took a nice long walk, and stopped here and there to take pictures. 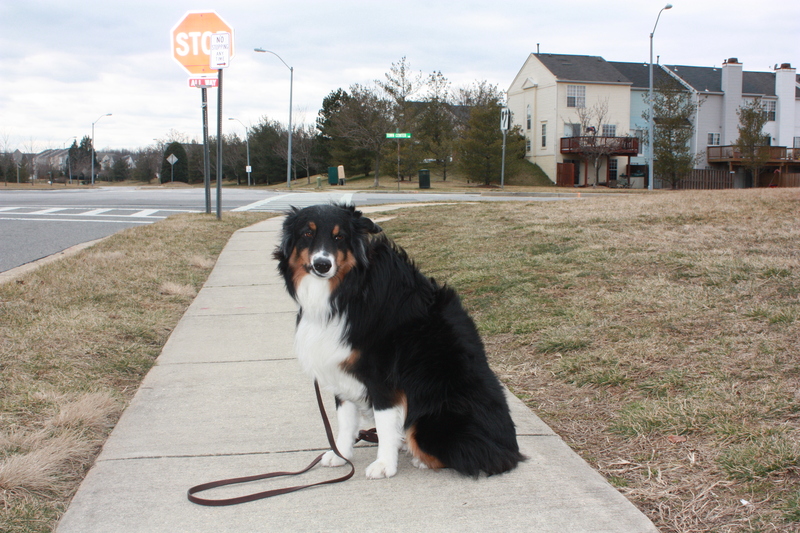 I like my neighborhood because there are a lot of places where I can walk with my canine companions and there are also some trails around the area. 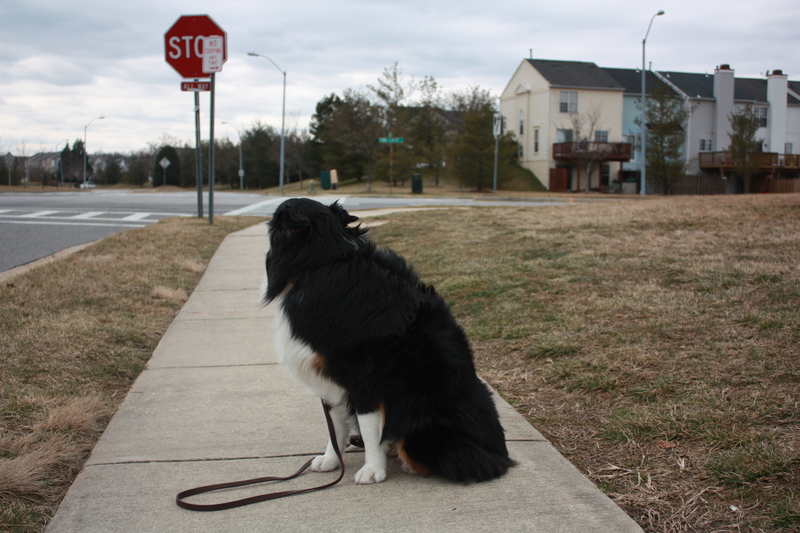 Walter, my model, decided that it was time to get going so I took the hint and we started to head home. By the way, the work he provided as a model was not free, for he got paid with plenty of treats. Once we got home, we went straight to the deck and I brushed him and wiped him off. I do this right after our walk because I want to make sure that he is clean, but also because this gives me an opportunity to check his pads. 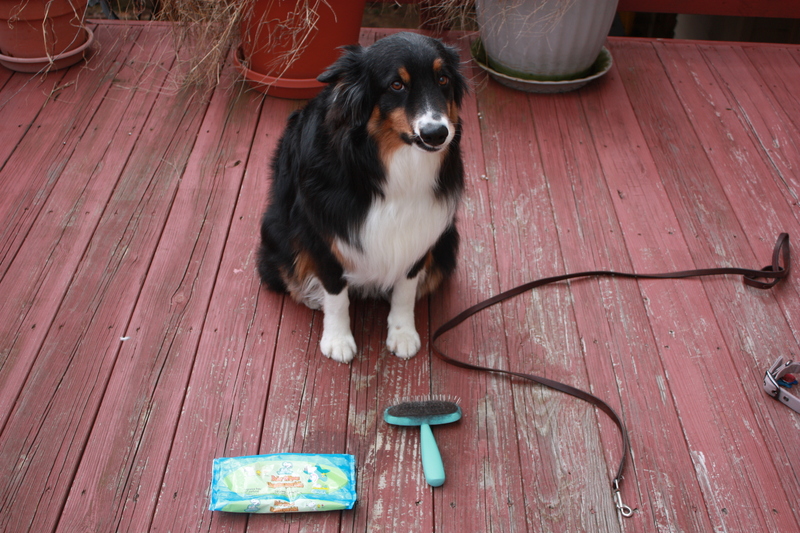 Regardless of the weather, you should always check your dog’s pads to make sure that they are in good condition. Have a great week. 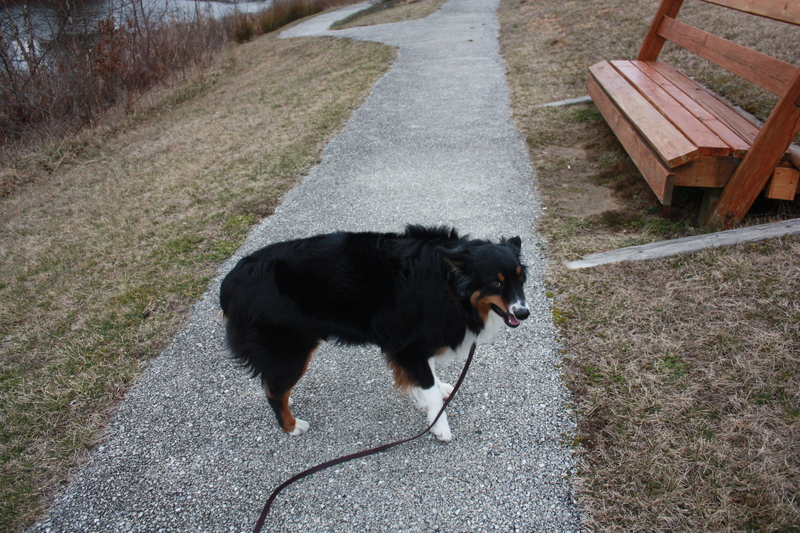 This entry was posted in Breeds, Dog Equipment, Dogs, Humor, Nutrition, Outings, Walking and tagged all my canine companions, Bedrest, Fitness, Recreation. Bookmark the permalink. My dog Max is very much the same when it comes to posing for pictures, though he waits till I’m just about to take the picture to move. It always makes me laugh, but can be so frustrating too! I know he does it on purpose. He is very beautiful and looks like our Snoopy. 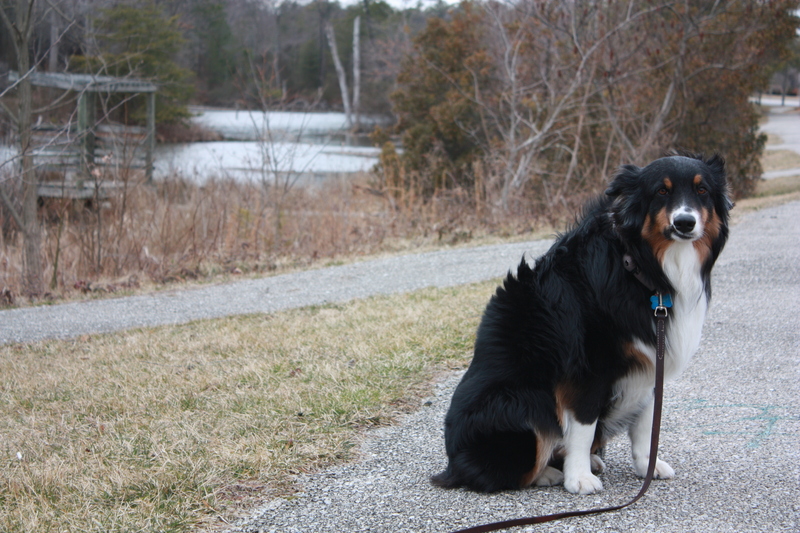 Who actually is part Australian Shepherd, handsome and intelligent breed. puppies have the softest pads EVER! He is a handsome fella! The third picture makes him look like he is smiling 🙂 Forced, but smiling! Looks like a very sweet pooch.